A finalist in Telstra's 2009 Business Women of the year, Donna was recognised as one of the countries most inspirational business women. After receiving several nominations Donna was shortlisted from over 6000 entries to become one of the top five finalists, an incredible achievement. Living and working locally. Donna and her partners have built all facets of their real estate business into one of the most successful award winning agencies within the northern coastal corridor. With more than 17 years specialising in the Leasing and Management of over 850 rental investment properties. Client satisfaction, communication, honesty and efficiency are the differences between experience and inexperience. 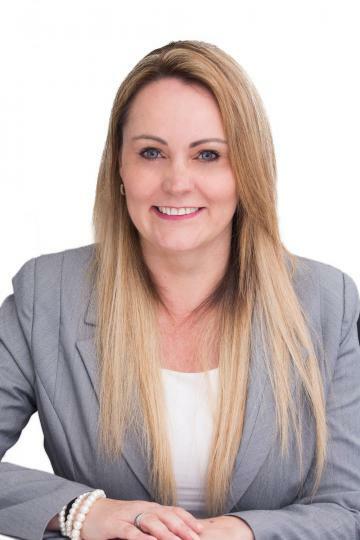 Donna is also a licensed Sales Representative, a lecturer for the real estate industry, has her Diploma of Property along with Cert IV in training and Assessment and has extensive ongoing training in the field in order to reach a level of excellence in professional friendly service. Give her a call today to discuss your needs on 9406 4000. This large 4 bedroom with 2 bathroom family home is the place to call home with its large master bedroom, his and hers walk in robes and open style ensuite. The family room is tiled through out and is also suitable as a games room or home office which leads through to the open plan kitchen, meals and dining area and has also been tiled throughout. The home also features its very own home theatre which over looks the great sized maintenance free gardens to the rear of the property.